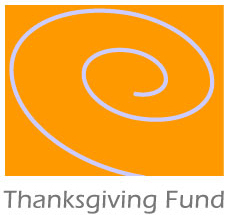 The Thanksgiving Fund is a donor advised fund, which seeks to fund and support organizations and communities who share our common vision of a sustainable and just world. We are dedicated to fostering change and progress in collaboration with organizations whose impact, both local and global, is designed to support individuals and communities in the creative resolution of the issues they face. We focus upon interventions that address the root causes of such issues and that empower the people and communities to which they are committed.